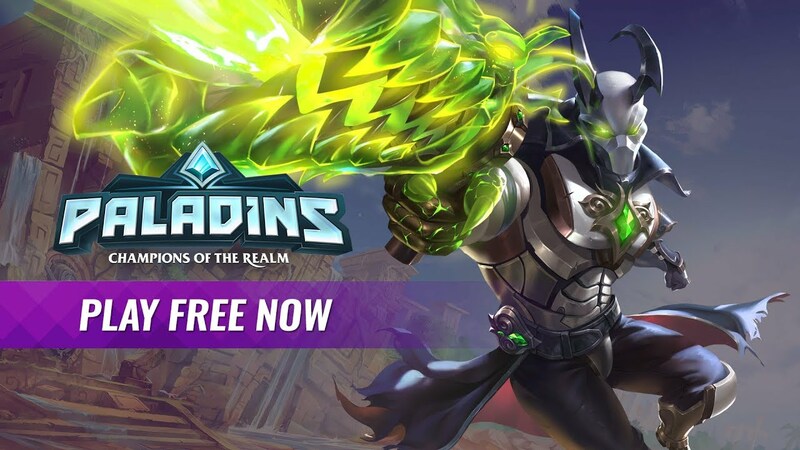 At the cost of $0, you can play Paladins right now on the PlayStation 4, Xbox One, or Nintendo Switch. You literally have nothing to lose by giving this one a chance. With the free version, you get access to all of the modes, a less-rewarding version of the battle pass, and access to a handful of characters. Five characters are free at all-times, while a rotating set of premium characters are made free for a limited time. For that price, I think it’s a great value! You’re getting a great first taste at a hero shooter, and if you’re not overly picky about your character selection, this can keep you busy for some time. Also, with regular play, you will unlock coins and gems that can be cashed in to buy individual characters or the champions pass, which unlocks every current and future character in one shot. Should you want to unlock them all in one shot, you’re probably far enough down the road that the price is worth it. The “other game” has a decent-sized cast that continues to grow, but it’s already been outpaced by Paladins. With the inclusion of the recently-released Dredge, the roster size is 39 as of writing. That gives you even more ways to play. Unless the “other game” drops a major expansion, they will not keep up at their current rate of release. I primarily play hero shooters for the element of teamwork that is required to succeed. But sometimes, I just want to drop fools. 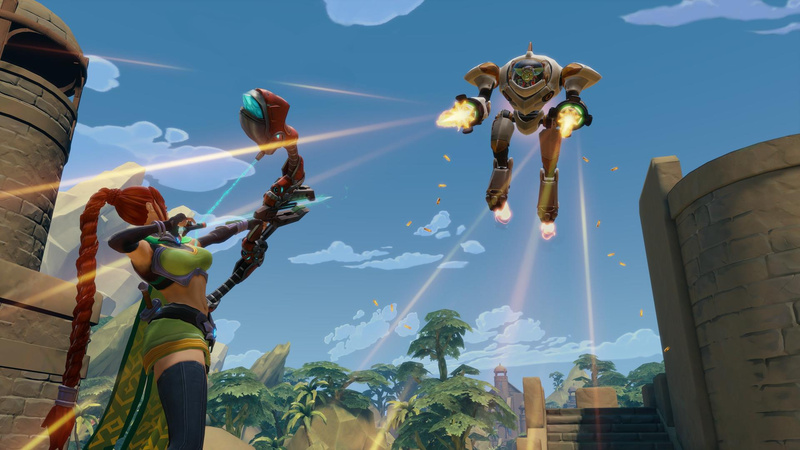 Team Deathmatch is a part of the Paladins main rotation, which will certainly help certain groups of shooter players more familiar with the Call of Duty style dip their toes in the pool. If you want to just play Team Deathmatch or avoid it, you can fine-tine your search before you matchmake so that you only play the mode(s) you want! No, I’m not talking about cosmetics or emotes. The biggest differentiator between the two games is that Paladins gives you a lot of control over how your character functions in the game. After picking a character, you can choose one of four talents that gives modifies one major aspect of how they work. 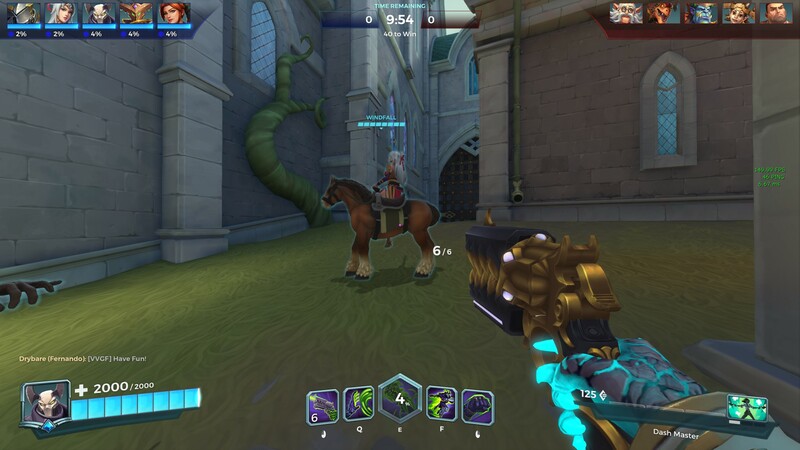 For example, Khan can choose the Storm of Bullets talent to feature a faster fire rate and more bullets in exchange for less damage per bullet. From there, the game’s card system allows you to add five additional modifiers to your character while assigning attribute points to each. As an example, a level one card might give you two extra bullets per round, but leveling it up to five gives you 10 extra shots. Finally, by eliminating enemies or completing objectives, you gain currency to spend during the match. You can buy assorted upgrades to life steal when your bullets land, prevent healing on players hit by your bullets, gain extra armour, or charge your ultimate quicker among many others. As great as the “other game” is, it doesn’t – and may never have – anything like this. I really like to get in there and tweak my character to fit my play style perfectly. You can even save multiple loadouts for different modes or situations. Love that this game gives you that level of control! Splatoon 2 and Fortnite are great. After that, your shooter options on the Nintendo Switch get really slim. And if you want to talk about hero shooters, this is the only game in town for the foreseeable future. By virtue of not really having any other shooters to play, Switch players should move this up their priority list of games to try out. Even if there were more available, I think Paladins is a good enough game that it would favour well against most other games. Because it’s on a platform with so few options, there’s almost no reason to avoid it. Previous Article Are You Buying the PlayStation Classic? Next Article One More Sleep Until Our Extra Life Gaming Marathon Begins!